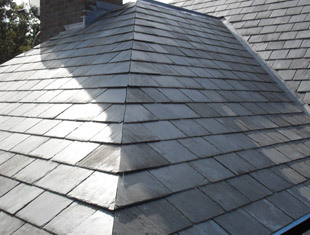 Roofing is one of the most preferred applications of slate across the globe. Nevertheless, wall cladding and flooring are its other major applications that are also very popular across the globe. Indian has large deposits of export-quality slate and nothing can be better than contacting the 17-year-old Regatta Universal Exports for all your slate-based roofing, wall covering and flooring solutions. 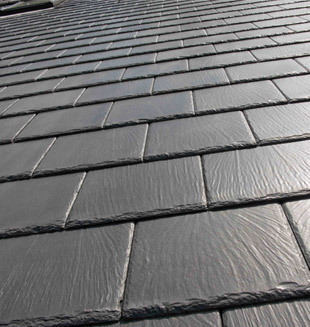 With Regatta Universal Exports, a leading manufacturer and exporter of slate from India, you can be assured of high product quality, dedicated customer service as well as safe and timely deliveries of finished slate roof tiles and products. Slate offers a long-lasting and durable roofing solution and is preferred by many homeowners and designers all over the world. Apart from being strong enough to resist environmental elements, it imparts a natural look to the exterior of any property. 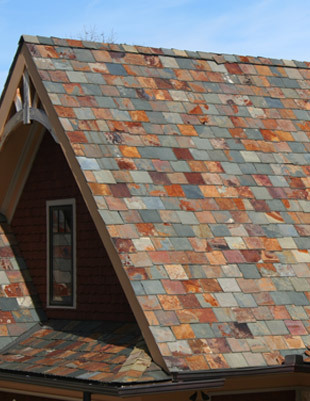 In fact, slate shingling is so enduring that slate roofs are often regarded as “the hundred year roof.” Nevertheless, use of appropriate tools for installation, proper techniques to repair and good maintenance are necessary to keep it as lasting as it has been marketed. In case slate shingles need to be repaired, you can easily mend them by yourself without thinking about the entire roof replacement. Nevertheless, many quick repair methods that work well on other materials don’t work in case of slate roofing. This is because such quick fixes not just deteriorate the appearance of your slate roof, but also expose it to more damages. Hence, it is always better to replace the damaged shingle. For shingles that need to be replaced should be looked for prominent cracks or worn out status. Further, you should tap the rest of the shingles. 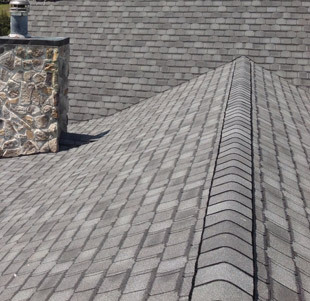 If you hear a sharp sound, it means the shingle is in good condition. However, if you hear a dull sound upon tapping, the shingle requires a replacement. For replacement, you would require a slate ripper, which is a 2-foot-long, cast steel tool with a blade and hook to remove nails and broken pieces of shingles. With the help of ripper, remove the nail and broken shingle. Now adjust the replacement shingle into the place. Make a hole in the shingle from the backside, so as to properly hold the inserted nail from the front side. Now, put the nail into the hole and allow it to perfectly fit in place. With the help of a hammer, tap the claw of the nail to let the pointed end go down in the hole. Only use a slate-specific hammer, usually a foot long and made from single piece of stainless steel, for the task. A similar heavy hammer can also be used, if you are unable to get the slate-specific one. Flashing should also be placed over the shingle, but below the nail. Flashing cannot be as long-lasting and durable as slate, but have to be replaced, if required, to keep the slate shingle leak proof. For flashing replacement, you have to follow the above described procedure, except one thing that this time you would have to reattach the same shingle after placing the replacement flashing. 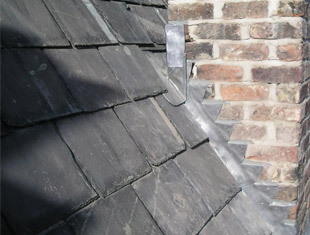 By taking such simple measures, you can easily repair your slate roof and can be rest assured of its good looks as well as the property for a longer duration.